If you dream of spending your retirement years in an exotic Caribbean paradise, Belize is a great option. 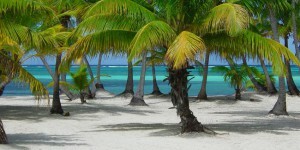 There are a number of factors that make retiring in Belize a dream come true. Belize is a picture-perfect tropical paradise. The country spans across approximately 8,866 square miles. It includes 200 islands, their sizes ranging between a few hundred feet and several miles. The mainland is 68 miles wide and 180 miles long. Most of the remaining area is wild and unspoiled by human interference. Retiring in Belize means never getting bored. The country features a variety of cultures and landscapes. The miles and miles of sun baked white sand beaches are just perfect for scuba diving, diving, yachting, fishing and much more. Thick forests and tropical mountain ranges house a wide variety of birds and mammals, and offer some spectacular routes for hiking. Here you can explore the majestic Barrier Reef, pristine beaches, countless undiscovered caves, rivers and waterfalls, the tropical forests, mountains and more. The island also features ancient Mayan ruins that date back thousands of years. These are sure to interest history lovers. In short, Belize has something for everyoneÂ . Ease of accessibility is another reason for retiring in Belize. Situated on the east coast of Central America, Belize is bordered by Guatemala on the south and west, Mexico on the north and the Caribbean Sea in the east. The Belize International Airport offers direct flights to a number of major cities in the US. Moreover, the airport is rapidly expanding. Some of the airlines connecting Belize to the US include Continental, American and El Salvador or Taca. While the costs of luxury properties in prime areas run into hundreds of thousands of dollars, in Belize you can still find raw land and charming condos at pricesÂ unheard of since the 60s. Compared to North America, the cost of beachfront property inBelize is almost 3 times less. The cost of construction is also low. Given that an average Belizean earns less than 6000 USD annually, the overall cost of living is low as well. A retiree incentive program has been recently enacted by the Belizean government that allows the US, UK and Canadian citizens to establish official residency in the country and reside without paying any local taxes. Although the program prohibits retirees from working, income from outside the country is not taxed. Retirees can also bring in cars, household goods, boats and even airplanes without paying import duty. Safety is a major concern while choosing a place to retire. Belize has a long tradition of free elections and democracy. It is also a member of the British Commonwealth. The constitution of Belize also includes a bill of rights. Compared to other Central American countries, the crime rate in Belize is considerably low. For those concerned about safety, retiring in Belize is a great option.